Churton is a biodynamically farmed, organic (registered with Biogro NZ) vineyard situated in the southern hills of Marlborough. 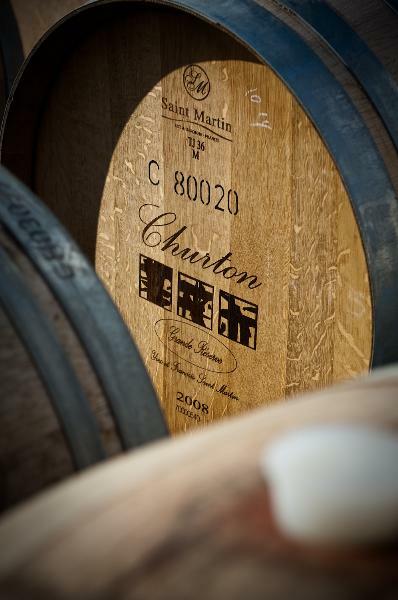 Producing Sauvignon Blanc and Pinot Noir as well as small quantities of Viognier and Petit Manseng, Churton's core philosophy is New World wine tempered with Old World style. Winemaker & owner, Sam Weaver, takes advantage of the site's altitude (200m), clay based soils and superb north-east aspect to create wines that are approachable in youth but with a remarkable ability to age. These are wines of integrity that eloquently express their unique terroir and organic origins.